AMERICAN duchesses were quite the rage towards the end of the 19th century and Jenny Jerome, Sir Winston Churchill’s mother, is perhaps the best-known. 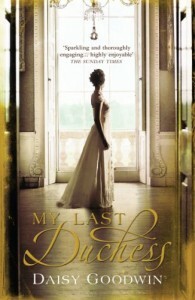 She was just one of the influx of vivacious, wealthy young women anxious to marry into the British aristocracy. Welcomed with open arms by blue-blooded but bankrupt Lords, they brought money to rescue the stately homes of Britain and a freedom of manner that cut through some of the traditional rules of the day. My Last Duchess is the story of the aptly-named heiress Cora Cash, who is propelled by her ambitious Mama into marriage with an English Duke. Not that Cora needed any prompting. 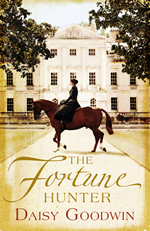 No sooner does she set eyes on Ivo, the 9th Duke of Wareham, than she falls head over heels in love. 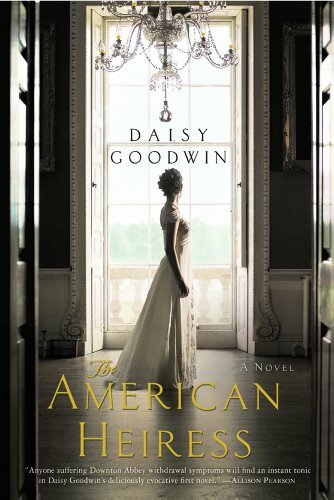 Daisy Goodwin’s first novel is rich in lavish detail and society gossip, with pages peopled by dashing young rakes, unscrupulous beauties and fashionable but predatory painters. All provide problems for our heroine as she embarks on married life. It is Charlotte Beauchamp who proves to be Cora’s real enemy. Brought up by Ivo’s flirtatious, amoral mother Fanny (now married to her second duke), Charlotte is, frankly, jealous. She always wanted Ivo for herself but she is clever enough to conceal her emotions, befriend Cora and lead her into escapades calculated to endanger her marriage. There is a touching sub-plot, introducing Cora’s devoted black maidservant. Transplanted from the deep South of America to a stately mansion in England, Bertha falls for manservant Jim. Their below-stairs romance, with its racial undertones makes an interesting contrast with the upstairs immorality of the nobility. It is a romp of a book, with all the ingredients for a self-indulgent afternoon read. 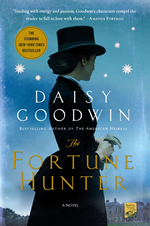 A well-written, brilliant first novel by a confident, skillful storyteller. It is pure, light-hearted, unpretentious entertainment.